This is the first in a mini-series of articles on pricing strategies. 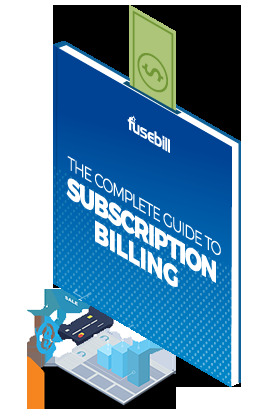 At Fusebill, we've found that many companies believe they have a complex pricing model - not because of anything inherent in the model itself, but because they find it difficult to track manually. We hope that these articles will provide a better understanding of the different types of pricing within a metered price plan. What is tiered and volume pricing? A good place to start is to answer the question, what is tiered pricing? This is important because most people think tiered pricing and volume pricing are the same - but they are very different. Volume pricing: defines a price for ALL units within the range. It’s easier to see how it works using an example. Let’s say you have just sold 60 widgets. You have sold 60 widgets. This is in the range of 41+; all widgets will cost $5.5 each. With tiered pricing, once you fill up a ‘tier’ – in this case, the first 20 widgets – you move to the next tier and start charging a different price. The first 20 widgets will cost $10 each. Once you’ve sold all 20 from tier 1, the next tier costs $8.5 each, the next tier $7, and so on. Volume pricing, on the other hand, means that as soon as you hit a particular number, all units will cost the lower price. If someone only buys 20 widgets, each widget will cost $10; but once they get over 20 widgets, the price of all the widgets in their purchase drops to $9 each; then to $8. See the difference? 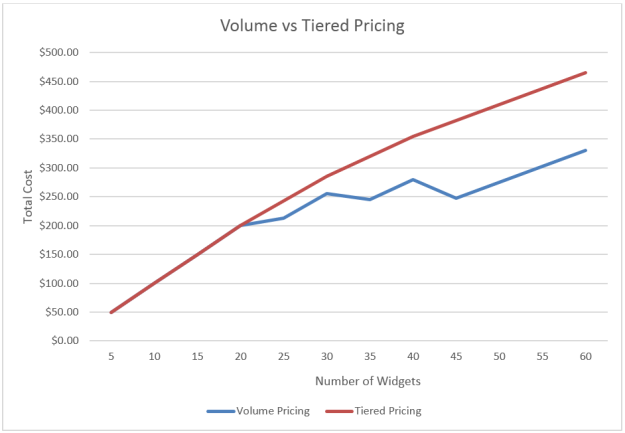 If you were using volume pricing you would have made $330 for your 60 widgets, but when using tiered pricing you would make $465, and this difference is based on the cost of each widget. Are you having recurring billing challenges? Learn how we can help you reduce errors and simplify your billing and invoicing by using real-time analytics and automated subscription and customer management. Which pricing is more strategic? The other difference between tiered and volume is that tiered increases the reach to your potential audience because you are offering different pricing versions for your product. People will pay up to what they can afford. So lower price plans can draw customers who may eventually move to higher priced packages. Tiered pricing also allows for creative options such as grouping products by quality, quantity, service etc. Refer to this article to discover the best practices that your business should be considering in creating a SaaS billing strategy.